The events of the past few weeks have offered opportunities to focus on the future, through casting ballots at the voting booth, and to appreciate the present times, through a national holiday inviting us to consider just how good we have it. 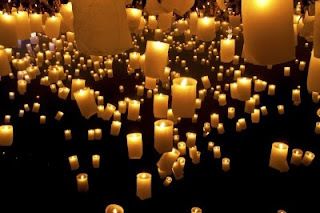 Next month, we hope you'll join Minnesota Rising as we pause to reflect on the past year. From the 2012 Un/Conference, "Leveraging Expansive Leadership for Our Minnesota," to the myriad tour stops of the Cascading Conversations Tour to collaborations with Policy and a Pint and numerous other Network Partners, it's been a big year! We invite you to our annual year-end review to help us evaluate our impact and consider how we can expand our efforts in 2013 to continue building relationships, trust, and a shared vision for the future of Minnesota. Celebrate to the Max 2012! The IDEO.org Fellowship Program enables future global leaders from the design, business, and social sectors to spend one year working with experienced IDEO designers on social impact challenges. The Minnesota Rising Cascading Conversations Tour has been making its way to emerging Minnesota leaders and their organizations throughout this past year. Earlier this month, members of Twin Cities Rotaract had a chance to connect one-on-one with each other and share their values and visions for the future of our state and communities. See below for a guest blog post and photos recapping the engaging and energizing conversation by 2012-2013 President, James Horsman! The Twin Cities Rotaract Club had the pleasure of hosting Minnesota Rising’s Cascading Conversations Tour during its club meeting on Wednesday, November 14th at the Chatterbox Pub in St. Paul. Minnesota Rising founder, Diane Tran, facilitated the discussion as meeting participants were provided the opportunity to reflect on their passions for involvement in the community and how this enthusiasm can be turned into action that benefits the future of Minnesota. Diane began by leading an excellent discussion on the importance of the young professional community to share ideas about how to shape Minnesota’s future as its members begin to assume leadership positions at work, school, and in the political system. The group then broke down into pairs to have a one on one conversation about what values are meaningful to them and how they have demonstrated these ideals through participation in organizations or the community in the past. Essential to this linkage between personal core values and putting them into action was identifying how trust is built. This connection was key as it allowed the participants to feel more comfortable in offering what drives their own value system while also reflecting on defining trust in the organizations that will implement these values into actions that shape Minnesota’s future. The closing segment was then to synthesize the participant’s engagement in ways that benefit Minnesota’s evolving future. The discussion was especially timely in the wake of the recent election that revealed how rapidly changing demographics and social attitudes continue to shape the political makeup, and therefore future vision, of both Minnesota and United States in general. Once the individual conversation time was over, Diane asked for the participants’ feedback for the group. This discussion revealed a multitude of responses. Twin Cities Rotaractor, Andrew Mullan, talked about how spending time overseas on a service trip to Venezuela made him appreciate what Minnesota has to offer. He also spoke of the importance of listening to the viewpoints of others and respecting their point of view when seeking solutions to the challenges that Minnesota faces. The best solutions will be found through involvement in organizations that share this tolerance of ideas. Rotaractors and returning Peace Corps members, Dana Dallavalle and Nick Halbert, discussed their experiences in Central America in relation to their views of life in Minnesota. Dana shared how the fast-paced, increasingly timed life of Americans contrasted with the more relationship-based way of life she became so accustomed to during her time in Panama. In fact, the most common theme throughout the evening was the importance of taking time to get to know one another in a meaningful way on a one to one basis to understand each other’s point of view. Minnesota enjoys a reputation of engagement, concern for the well-being of others, and civic pride. Our consistently high rates of volunteerism and voter participation prove this. While Minnesotans may not always agree on the outcomes, they agree in the power of having a voice. The expression of the collective voice is the direction of the state. Cascading Conversations such as these allows individuals to share their beliefs and ensure that the values of young Minnesotans become the future values of the state. Diane herself said it best after the meeting when she stated to the participants, “I thoroughly enjoyed the opportunity to learn about the fun things you're up to, the incredible recent accomplishments of your members, and the deep sense of commitment you each seem to have to the development of your lives and the lives of your communities.” As the conversation continues, this commitment is critical to developing and determining future leadership of Minnesota. 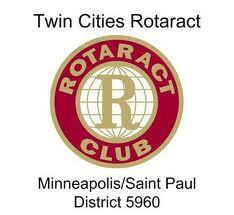 The Twin Cities Rotaract is dedicated to making our community a better place. Our club represents the best of the Twin Cities young professionals looking for opportunities in professional development, international travel, and community service. Visit us at www.tcrotaract.org or on Facebook or email me for more info. This week's Center for Integrative Leadership Friday Forum focuses on "Integrative Leadership in Rapidly Diversifying Rural Communities." Featuring speakers and researchers from the Extension Center for Community Vitality, the conversation will consider the rapid growth of Latino communities across the state of Minnesota and discuss key strategies employed in leadership across sectors and ethnic groups. Register today for a light lunch and some hefty learning! During the 2012-2013 academic year CIL will again host a monthly Friday Leadership Research Forum where participants and presenters will discuss and debate research conducted by University faculty, students and community members on leadership issues that span boundaries in and across sectors. Participation is free of charge, but registration is requested by clicking the register button above. Join Minnesota Public Radio and Omar Ansari, the founder of Surly Brewing Company, in the UBS Forum tonight for some bright ideas. Host Stephen Smith will get the scoop from Ansari about the business of brewing, his recent efforts to successfully change Minnesota law, and of course, Surly beer! Reserve your free seat below. For our November Bright Ideas, Stephen Smith is joined by Omar Amsari, the founder of Surly Brewing Company. They'll talk about running a company, his fight to change Minnesota's law, and beer. Doors open at 6:30 on November 27, 2012. The show will be recorded at our headquarters at 480 Cedar Street in Saint Paul. Make sure you leave time to find parking and make your way here. Our building is surrounded by construction. The Social Innovation Lab is a place for community changemakers to get new thinking, tools, and connections to advance their work. The upcoming Lab will focus on vulnerability as a resource for social innovation. Prior to the event, they're searching for stories of people leading with vulnerability to build sustainable and inclusive communities. If you've got examples, send them along, and if you want some examples, register for the event and join in on the conversation and the great work! We invite you to join us on the morning of December 4, for the third Social Innovation Lab. All perspectives are needed–from businesses, neighborhoods, the arts, families, spiritual communities, nonprofits, tech, entrepreneurs, policy, and more. We are seeking a combination of long-time social innovators and those who are curious and new to the idea. The Social Innovation Lab is an InCommons event. InCommons is a community-based initiative that connects Minnesotans – face-to-face and online – so they can find and share credible tools, knowledge and resources to solve problems. Are you a problem-solver, design-thinker, or someone who just cares a whole lot? IDEO.org is recruiting for their 2013-2014 Fellowship class and is searching for future leaders and innovators across all sectors to apply. See below to consider how perfect a match you might be for these human-centered thinkers and designers! IDEO.org is a nonprofit design and innovation organization focused on solving challenges in poverty and spreading human-centered design through the social sector. Human-centered design enables organizations to create and deliver innovative solutions to pressing challenges that are rooted in the needs of people. IDEO.org works directly with organizations on projects using the human-centered design process across a wide range of focus areas related to poverty, including health, financial services, gender equity, water and sanitation. We are currently seeking applicants for our 2013-14 Fellowship class. Please see the job postings below. The IDEO.org Fellowship Program enables future global leaders from the design, business, and social sectors to spend one year working with experienced IDEOdesigners on social impact challenges. Over a 13-month period, Fellows will create solutions for nonprofits, social enterprises, and foundations on an array of topics, such as agriculture, water and sanitation, health, financial services, education, and more. Fellowships are based in San Francisco, California. Frequent travel and getting your hands dirty in the field are required. Here is some information on what our ideal candidate looks like. To gain expertise in design thinking. To learn to apply human-centered design to the challenges of poverty. To get the chance to work alongside world class designers in a world class nonprofit. To connect with individuals and communities firsthand. You have a demonstrated professional experience for improving low-income communities and a deep understanding of the social sector. You are used to working across industries and disciplines. For example, you may have considerable experience in mobile application development, but you’ve also performed consumer research in India. Or launched a nonprofit related to maternal health. Or started making documentaries about your neighborhood, or…,or…, or…, [insert your personal story here]. You are able to demonstrate key components of the human-centered design process: empathy, synthesis, prototyping, storytelling. You contribute to the larger dialogue of social innovation. You may be attending conferences, contributing to publications (blogs, Twitter, online, printed, etc.) or designing new programs with a low-income community. You are open-minded, self-reliant, and excited about being part of a diverse, fast-paced, nonprofit, start-up environment. You are comfortable working collaboratively within multidisciplinary teams. You have examples of work grounded in insights about people. You’ve applied your skills to real-world human problems (not just artistic or academic exercises) and have worked on-the-ground with a nonprofit or social enterprise. You can easily switch from macro to micro; from understanding the strategic value and business dynamics of an organization’s product or service, to caring about visual designs at a pixel or message level. You are an excellent written and verbal communicator. You have a knack for succinctly capturing thoughts and expressing them to others. You have great instincts about: how to tell a captivating story; how to give honest feedback; how to establish a deeper rapport. Minimum of 5 years of professional full-time work experience, or a graduate degree plus 3 years of work experience. Ability to legally work in the U.S. for one year (IDEO.org can help with the visa application process). What Materials Do I Need to Prepare to Apply? Cover letter: tell us why you and IDEO.org are made for each other. Visual story: create a visual story about something more you’d like us to know about yourself. 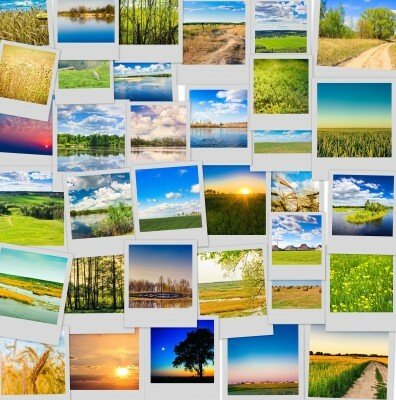 Use photos, video, drawing, or whatever visual medium seems most appropriate for you. We are really interested in your creativity, but also want to see how well you can tell your story SUCCINCTLY. Essay: 500 words (or less) telling us about an experience you’ve had with a culture other than your own that changed your perspective in some way. Different cultural experiences are up to you to define. Participate on HCDConnect.org: share your stories, answer other participants’ questions, or post your own. We want to see how you can engage our online community and encourage others to share their stories. One letter of recommendation: from a professional or academic contact. What do other people think of your potential to do great things as an IDEO.org Fellow? Email your materials to globalfellow@ideo.org. Please only send PDF versions of your CV, cover letter, essay, and visual story (if you’re creating a video, please include the link to the Youtube or Vimeo site in the PDF as well). Download the full position listing here. Download the IDEO.org Fellowship FAQ here. You're Invited | Free Screening of "University Avenue: One Street, a Thousand Dreams"
As someone who has worked and volunteered for organizations based along University Avenue for over a decade, the upcoming screening of University Avenue: One street, a thousand dreams is profoundly exciting. While I have plenty of memories from up and down the avenue, the stories, people, and activities that this stretch of road has seen many decades before my own is breathtaking. Learn more about the Central Corridor Project through this one-hour program and stay for an engaging conversation following the film! Did you attend the monthly meet-up about the University Ave. Corridor? Would you like learn more about the Central Corridor project? Then this event is for you! The program runs one hour. Admission is free but space is limited. Join us a half-hour before each showing for refreshments, and stay for conversation afterwards. University Avenue is a story about people and ideas, hopes and dreams. Since the beginning, the street has been shaped by people determined to turn their dreams into reality. In the 1880s, James J. Hill had the idea to consolidate nine separate railroad lines serving the area, creating a massive transfer yard to facilitate the exchange of freight. The Minnesota Transfer helped make Saint Paul a major hub in the national railway system and led to the establishment of the Midway industrial corridor. A few years later, Thomas Lowry created a private streetcar system that grew to include 500 miles of track. University Avenue was the spine of the system, and 700 streetcars were made at Lowry's shops at Snelling and University. In the 1940s, radio broadcaster Stanley E. Hubbard had the vision to invest in a new invention called television at a time when most people thought it had little chance of succeeding. In 1948, KSTP-TV went on the air, becoming the first television station in the Upper Midwest. KSTP's tower and studios were built on University Avenue, right on the city line between Minneapolis and Saint Paul. Today, hundreds of immigrants from Southeast Asia, East Africa and other countries are living out their dreams by owning their own small businesses along the avenue. Most of them started with little more than their own determination, overcoming every obstacle that was put in their way. Today, the promise of the Central Corridor light rail project is inspiring new investment in the avenue. Supporters hope it will lead to widespread renewal along the avenue, making University a destination once again... just as it had been during the streetcar era. The League of Women Voters of St. Paul is a non-partisan organization that encourages the informed and active participation of citizens in government, works to increase understanding of major public policy issues, and influences public policy through education and advocacy. More information about LWVSP is available on our website: www.lwvsp.org. 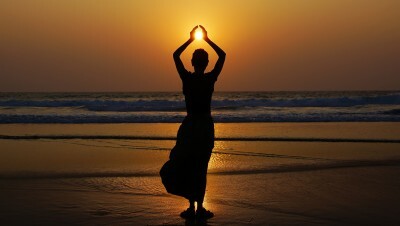 "Whatever it is you're seeking, just like the sun, it's already rising within you." We're now entering the season of holiday parties, and the Citizens League will not disappoint. In fact, their Emerging Leaders December Happy Hour promises to be a fun event full of problem-solving challenges and team sleuth work. Register now for an adventurous evening with friends old and new and to toast to all the great work accomplished in 2012! This isn't your typical happy hour. Join the Citizens League for an evening of real-world, group problem-solving with some twists and turns along the way. We hope you'll join us for our last happy hour of 2012. This happy hour is hosted by the Emerging Leaders Committee and is open to all Citizens League members and supporters. New members are encouraged to attend! You've got vision and you've got a whole lot of determination. But do you have what it takes to make a change? YNPN-TC's upcoming "From Do Gooder to Change Agent" features Chris LaVictoire Mahai of Aveus, who will provide frameworks for change leadership and management as well as detail an organizational change model and process. There'll also be an interactive opportunity to problem-solve with other participants, so bring your own change challenges to exchange and work through. Whether it's a change of heart or changing your mind, this workshop is just the ticket to transform your change attitude! Registration starts at 5:30 PM. Program begins at 6 PM. Happy hour to follow event. Details will be announced soon. Your mission, if you choose to accept it, is to expand your change agent arsenal by attending the Do Gooder to Change Agent event. You'll find this event transformational. So how do you make change? Turns out, there's a process for that. We're lucky to have change expert Chris Mahai as our speaker. She's the managing partner of Aveus, a global strategy and change operation firm. She works with Fortune 500 companies, small nonprofits and organizations in between on creating and managing change. With practical, smart advice tailored for our specific change challenges, Chris will guide us through some important change fundamentals. While this event will focus primarily on how to make change in your professional life, we'll also touch on how to make effective change in your personal life. Your assignment: You'll have the opportunity to problem solve with your fellow change agents so come with your hopes and change challenges to discuss. While this message won't self-destruct, you'll want to register fast. This event will fill up quickly. Free parking is available in the parking garage located on Robie Street. Chris LaVictoire Mahai is the Managing Partner of Aveus, a global strategy and operational change firm. During her Aveus tenure, she has worked with more than 100 organizations large to small, for profit and not-for-profit. Chris enjoys her work because of the breakthrough moments. She loves digging down to the root of a client's challenge, and then helping them develop ideas they can implement successfully. Chris is the published author of ROAR: Strengthening business performance through speed, predictability, flexibility, and leverage. She is a regular speaker on the topics of change leadership and customer experience driven performance. Chris held several corporate executive roles in banking and media prior to Aveus and has served on many non-profit boards, worked as a volunteer, and she is an active private investor in women-owned and led businesses. Chris holds a Master of Arts in Liberal Studies from Hamline University, a Master of Business Administration from the University of Minnesota and a Bachelor of Arts in economics and political science from the University of Wisconsin-Superior. By night, Chris is a struggling writer and playwright. She reads voraciously, loves contemporary art, music of almost any kind, and travels with friends and family every chance she gets, always trying to land near water. You can find Chris on Twitter @clavm and at Aveus.com.